& what my studio looks like. but since the blog layout update.. i've gotten lots! here i keep magazines.. books & patterns. another shot from the corner. this one shows my cutting space. 1. 36" x 60" cutting table - this is an old dining room table raised up on bed risers to be the perfect height for cutting. 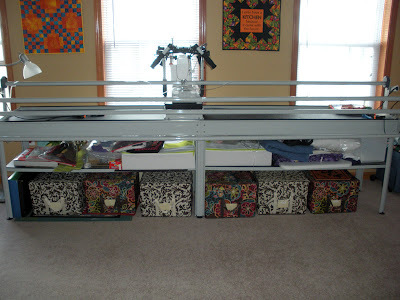 Where do you get your batting from, and how high from the floor do you have your sewing table? PS. Thanks for the look. Is it always that neat? Mine is almost always trashed!!! It would be very easy to put up an expensive track light. They have the ones where the center fits where the existing light is. That way you could direct the light anywhere you need it. What a wonderful spot to create! Hi Julie! Thanks for letting us peek into your studio ~ It's a great room!! I'd love to have a mid-arm too. Any recomendations? What do you love about your machines? What would you change? thanks for sharing - can you tell me more about your machines? I am thinking of upgrading or maybe getting a second and would like to know what you use. WoW Julie.... your studio looks super fun!!! Can I come over and play... LOL..
Love your studio and the shots of it. Question - tv, music or nothing playing when you are in there working??? music... i don't have a tv in my studio right now! Thanks for sharing all this information! 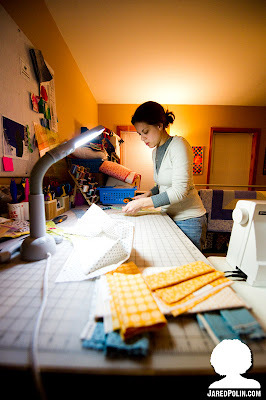 I find I am much happier sewing in a room that is organized. Mine is slowly evolving. Trial and error. What an inviting space to spend the days. Thank you for the details, we're building a new house in the spring and I fully intend to have a "sewing only" space. Thanks for the tour! I would love to have that much cutting space. Mine is 24x36 and generally fine. But when doing those boarders and backs, 60" would be amazing! And I'm giggling over your two batting spots. Anyone that sees my big roll thinks it's crazy! 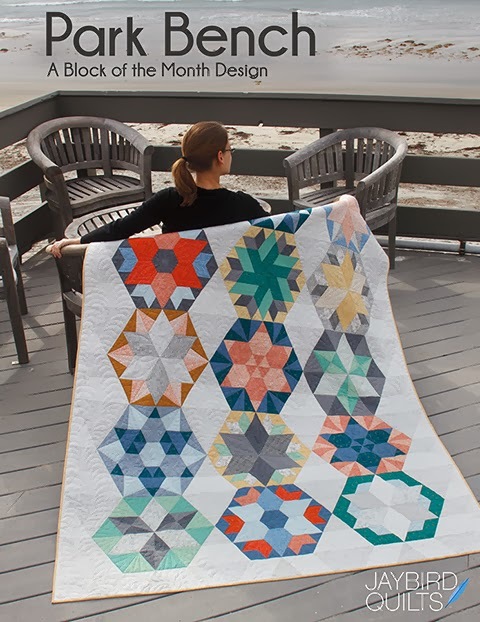 Thanks for showing your sewing space. It is so nice to have all that room. I too have a room with unadequate overhead lighting so it was nice to see some of your solutions. I have big windows but struggle at night. Thanks! Thanks so much for sharing your space! 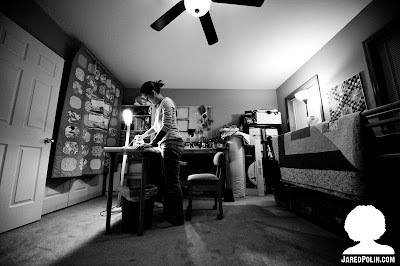 Right now my sewing room doubles as the homeschool room. So I can leave my machine out on weekends and through the summer, but the rest of the time school gets priority at the table. 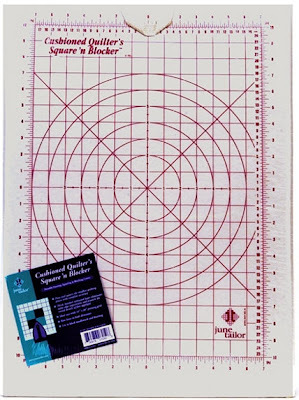 I'd love to have a larger cutting mat/table. It seems that I am always turning it to suit. I also like your pressing board - I get tired out dragging out the ironing board for small pieces. I'll be on the lookout for that! Thanks again! what a great space lol lots of sharp objects that could totally cut my hair. I was scared for my life every min i was taking pictures lol. 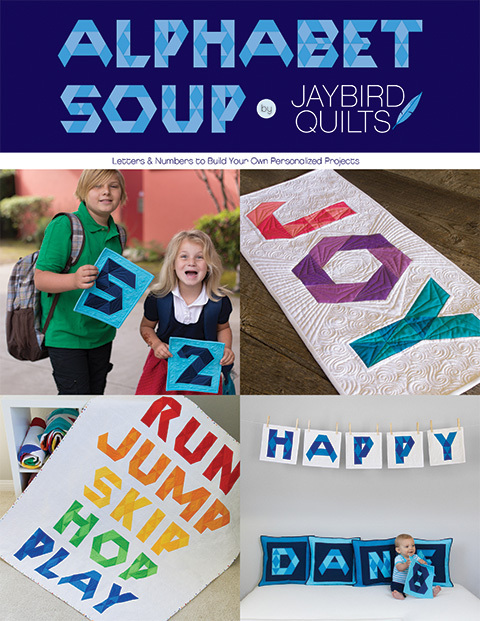 Love, love, love the pics of your studio! It's fantastic! Thanks for sharing! Love your studio...thanks for sharing! 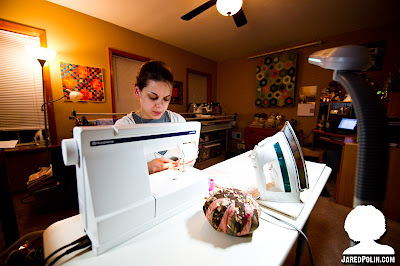 Thanks for sharing your sewing space. In our current house I'm spread out where ever I can find a little bit of unused space. But the next house will have a room of my own! I understand now how and why you get so much done --- you're super organized. Thanks for the pics and great ideas. Thanks for sharing pics (Great job, Jared). You have such a great studio. Good times. Very nifty! 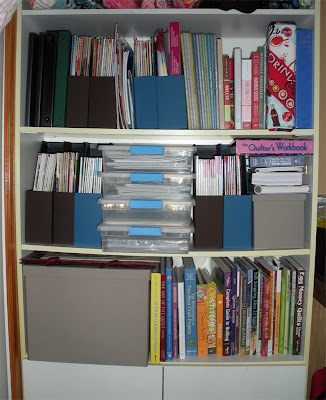 Thanks for sharing your space-I love your emphasis on having good storage space. Wow it really looks great. Love seeing your work area. What a wonderful sewing studio you have! It is so organized! I've never heard of a midarm machine before. Hi There, I found your blog due to the GO! giveaway, but I have been wandering through it since and I truly do enjoy it. I have you on my fav's so that I can find you each morning when I check the few blogs that I look at regularly. Thanks for this great tour of your studio! 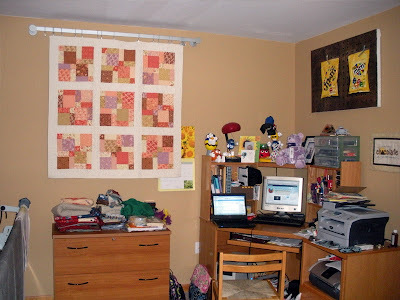 I don't have a sewing room...but I'm only 60 so maybe when I grow up I'll have one, LOL. 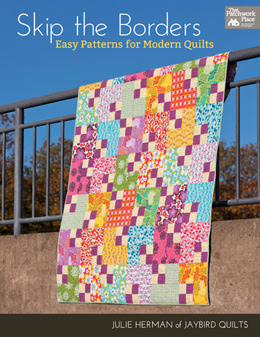 I sew downstairs in the summer and in the living room in the winter. 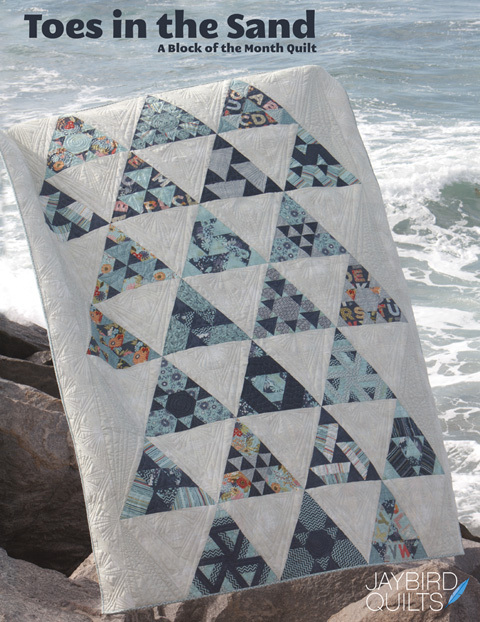 Health issues prevent me from being super productive, maybe 4 quilts a year if I'm lucky, but some day, I hope to feel well enough to really dig in. They also limit the time I can sit at the computer enjoying blogs and online friends, hence the short list! 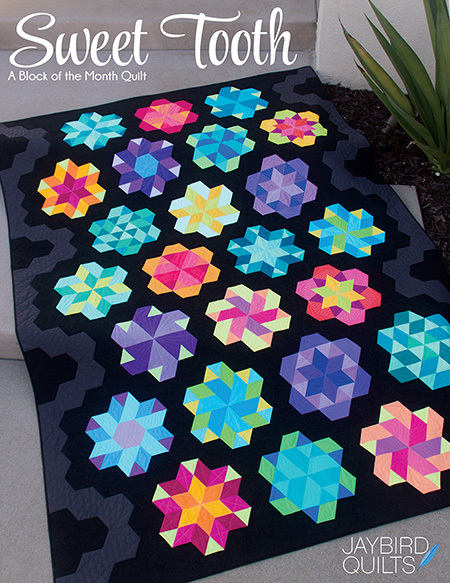 Quilting is my stress relief, pain relief and just all around relaxation, every aspect of it. Looking at your studio makes me realize that if I had a place to be as organized as you are, I could probably get a little more done. Thanks again, it was great! I'm off to look at more treasure around your blog!!! OH! 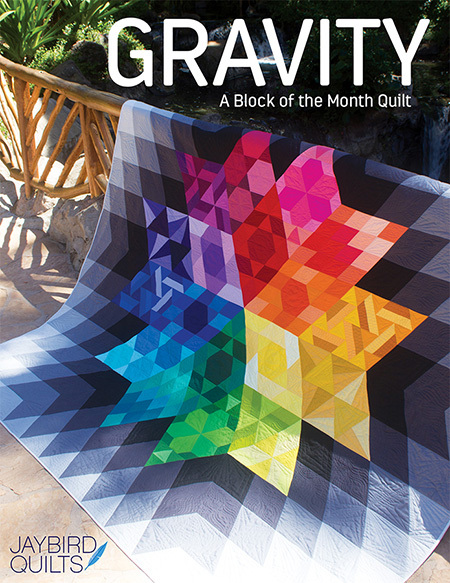 One question...do you quilt on your mid-arm for others or is that just for your personal use? SEWWWWWWWWWWWWWWWWWW :) glad that i found YOU! 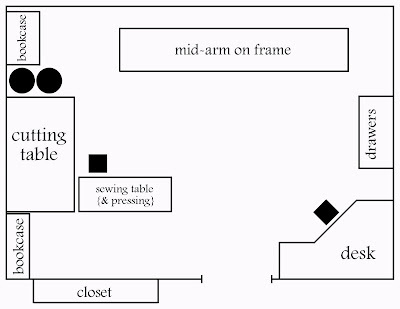 i was just talking today with my husband about making our guest bedroom into a sewing room for me. i LOVE your cutting table!! infact, your whole room is totallly fabulous! a nice place to go to create. for me, i have to move from room to room, which is a pain - and then clean up each time i am done.